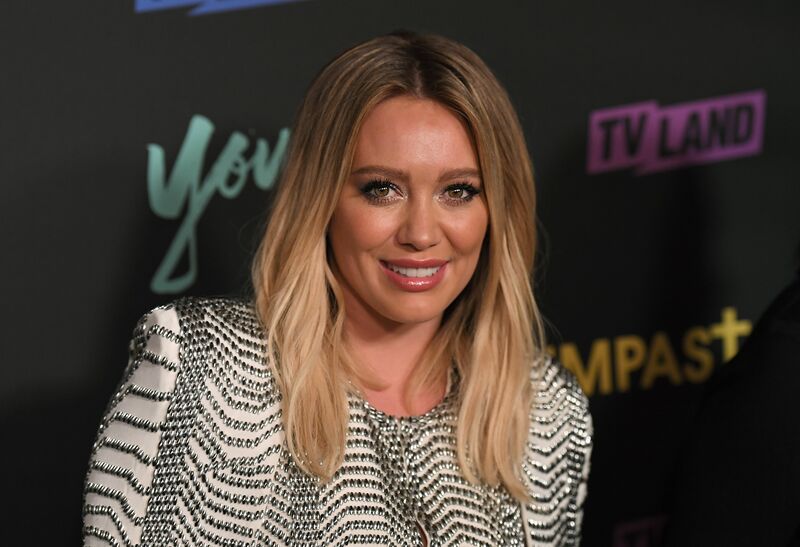 It's hard to believe that Hilary Duff could top her most recent Instagram picture — that would be the kissing confirmation that she's dating her personal trainer, Jason Walsh — but she did. Because Duff just shared a Casper Meets Wendy throwback on the 'gram, and it has everything to do with Snapchat's most recent, probably-Wendy-but-maybe-Little-Red-Riding-Hood inspired filter. Just in time for Halloween! Duff, who starred in the much-beloved 1998 Casper sequel as the red cape-wearing Wendy the Good Little Witch, took to Snapchat on Monday to share a modern-day selfie of herself rocking the red cape filter. "Omg wendy the good witch bout 20 years later," Duff captioned the Snapchat photo. She obviously couldn't contain this epic Halloween throwback to just one social media outlet, so she quickly followed up the Snap with a side-by-side Instagram of herself in the movie and herself using the Snapchat filter. "Well just in time for Halloween @snapchat gave me this little treat of a filter," Duff captioned the photo. Guys: She's even making the exact same frightened facial expression in both pics. She also clearly used that ~Wendy the Good Witch magic~ to stop the aging process, considering she looks exactly the same as her 1998 self. Iconic red cape and all. Halloween nostalgia is having a moment, and bless you Hilary Duff for adding to it. Not only can you visit the actual Halloweentown (based, obviously, on the filming location of the 1998 Disney Channel classic) but thanks to Snapchat, you can now transform yourself into your very own Wendy. Of course, it will never be as good as Duff's version (see above for proof of that fact), but it will definitely still bring you back to a time of innocence, Casper movies, and — of course — Hilary Duff's iconic bangs.